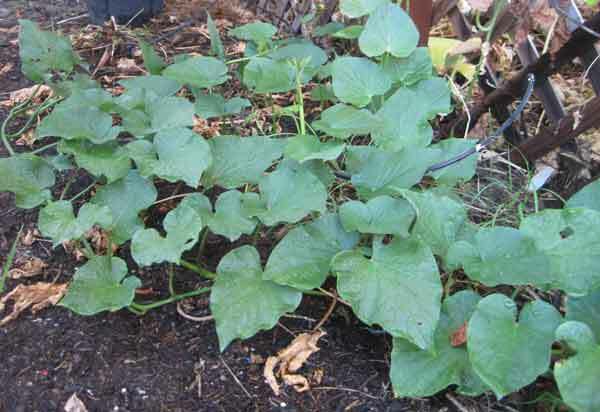 Last year a bag of sweet potatoes started to sprout before I got around to eating them. They ended up as mulch in shaded area at the back of TESLI. Apparently they like Phoenix weather, as they have taken over. I keep having to pull them out of my shade garden and direct them towards the open space to the west. I was surprised this morning, when I went to pull out a vine, that a couple little sprouts came up. Since the vines cover about 20 feet of ground I am curious how many pounds of potatoes are down there. I think of it as my disaster survival fund. 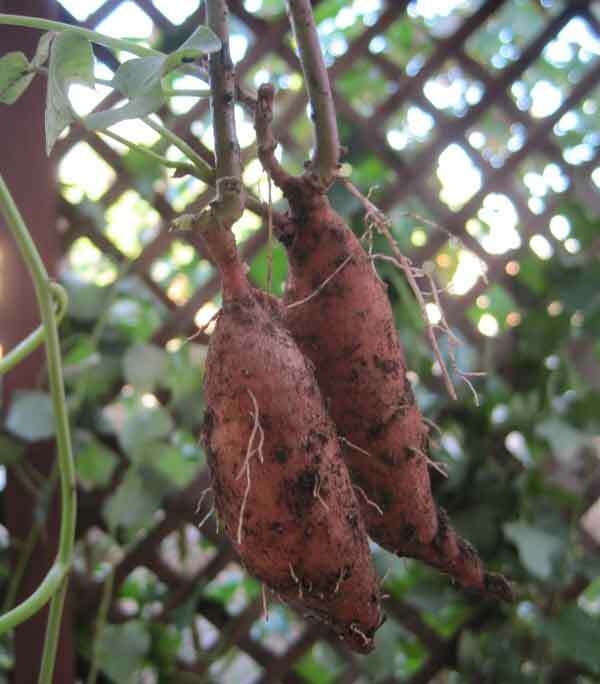 This entry was posted in Food, Gardening and tagged arizona, gardening, phoenix, simple living, sweet potatoes, TESLI by Dorena. Bookmark the permalink.